As the story goes, Hurricane Iniki swept through our garden island in 1992, freeing these colorful birds in it's wake. Today, the rooster is as much of our beautiful island's identity as the lush green scenery in which it roams freely. 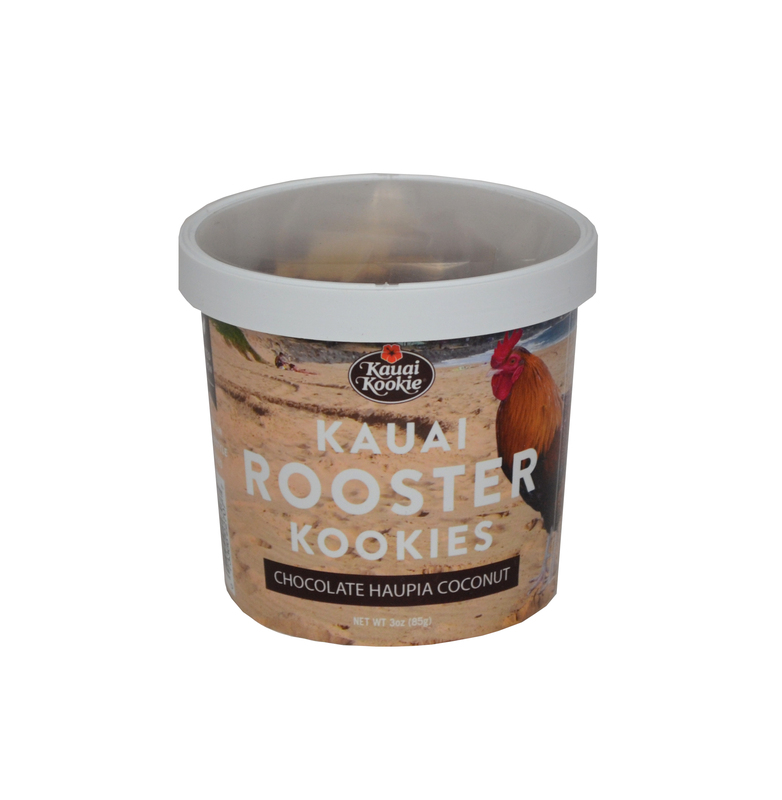 At Kauai Kookie, we have paid homage to our unofficial island bird by enshrining it's profile into our limited edition Kauai Rooster Kookies. 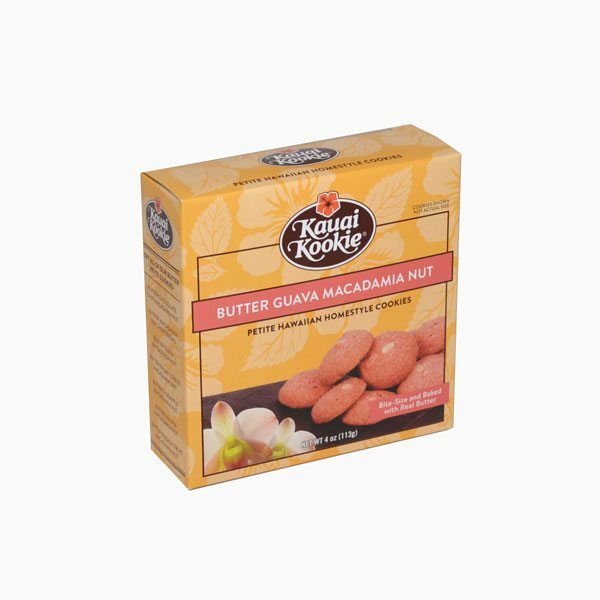 Try our Passion Fruit Guava for a tropical flight of flavor. 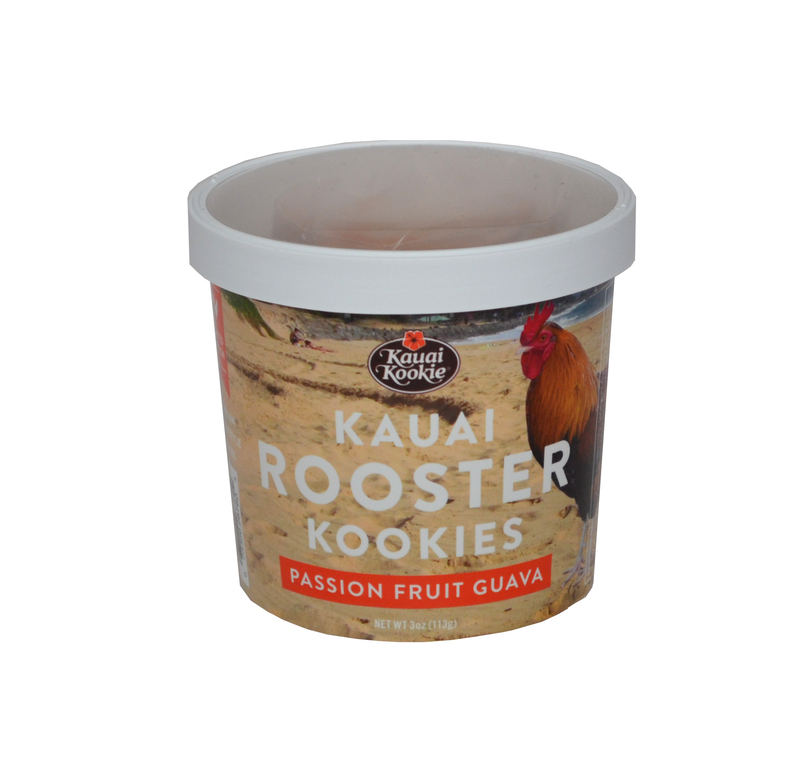 Our island Kauai Rooster Kookies are packaged in a custom designed limited edition tub. 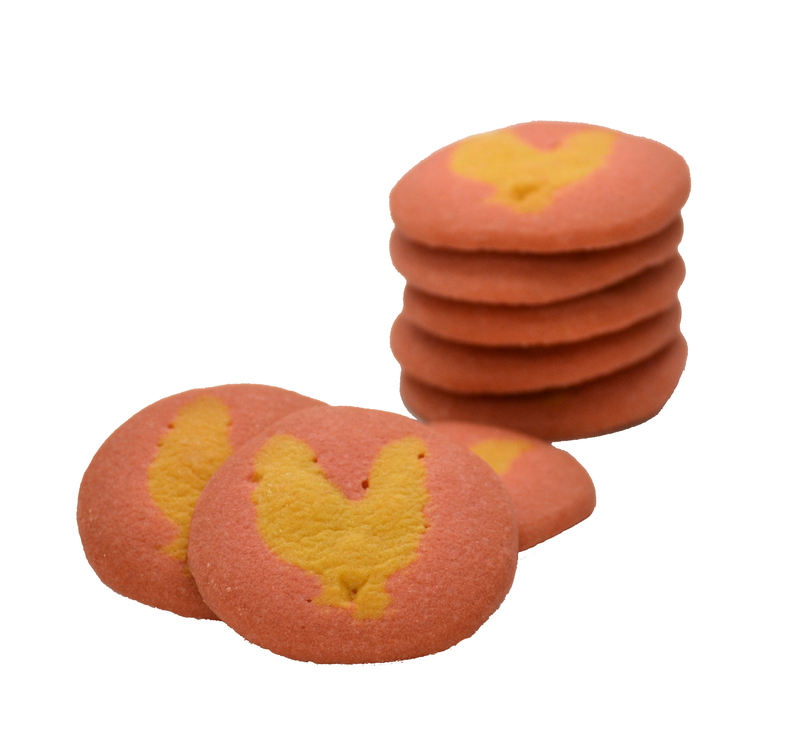 ENRICHED FLOUR (WHEAT FLOUR, MALTED BARLEY FLOUR, NIACIN (VITAMIN B3), IRON, THIAMINE MONONITRATE (VITAMIN B1), RIBOFLAVIN (VITAMIN B2)), MARGARINE (LIQUID AND PARTIALLY HYDROGENATED SOYBEAN OIL, WATER, SALT, WHEY SOLIDS, SOY LECITHIN, VEGETABLE MONO & DIGLYCERIDES, NATURAL FLAVOR (MILK), BETA CAROTENE (COLOR), VITAMIN A PALMITATE ADDED), SUGAR, PASSION FRUIT CONCENTRATE, WHOLE EGGS, GUAVA PUREE, BAKING SODA, ARTIFICAL FLAVORS, COLORING (YELLOW #5 & #6).